Excellent property in a beautiful location. We spent the last 2 weeks in June 2018 at this property and we had a wonderful time. The gite had everything we needed and the location was great, around 50 metres down the lane to the sea. The owners were helpful and friendly and made us feel very welcome. The village was only a short stroll away and had a bakery (boulangerie), a fishmongers (poissonnerie) and some lovely restaurants. The coastline was on the "doorstep" and great to explore either on foot or on bicycle ; it was nice not to use the car all the time ! There are however some lovely places to visit in the surrounding area, e.g. Quimper, Concarneau, Pont Aven, Loctudy (great beach) etc. We also had use of a garden area just down from the gite which was nice to use when having a drink or a meal or soaking up the sun ! This part of Brittany is really beautiful and we hope to return at some point in the future. "We had a lovely week! the gite is perfect, clean and the interior is very tasteful. 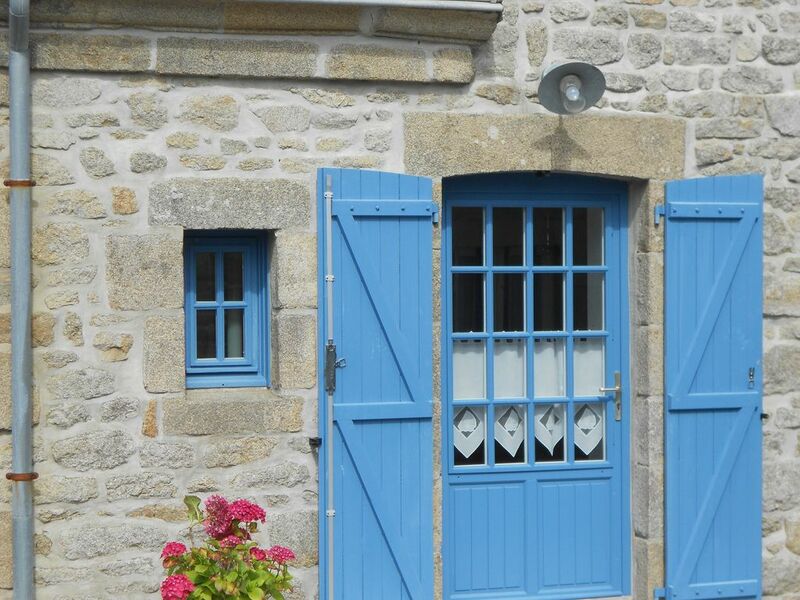 "The gite is really nice, clean, comfortable and brilliant for a couple. It is decorated very stylishly. A Fishmonger, Bakery Creperie, Restaurant are just around the corner as well as lovely harbours and lighthouses. Really nice and quiet out of season and the owner is very friendly and easy to deal with." Propriétaire accueillante et sympathique ; le gîte est situé près du bord de mer et est aménagé de façon agréable et possède tout le confort nécessaire pour passer d'agréables moments. Sehr schöne Unterkunft. Sehr nette Vermieterin. Rundum super. (Text automatically translated) Quimper, head of Pont l'Abbé, then Penmarch take Kérity (Lighthouse Eckmuhl), turn left towards Port Beach and Kérity turn right before the church.